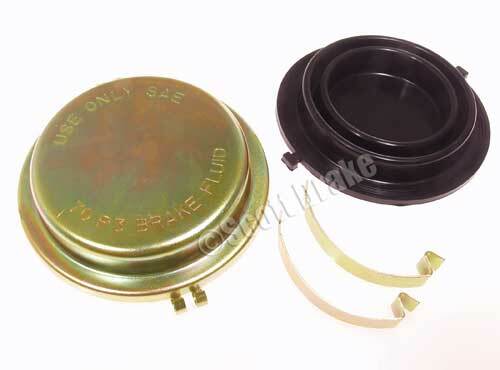 1965-66 Mustang Disc Brake Master Cylinder Cap. Gold Zinc plating. Comes with gasket and retainers.